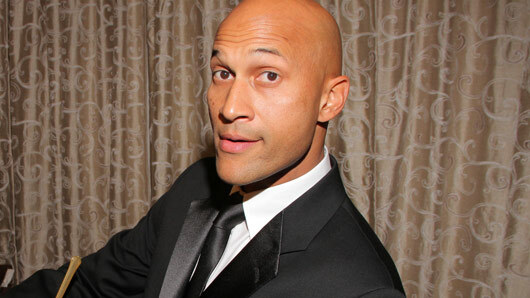 Key & Peele‘s Keegan-Michael Key and How I Met Your Mother‘s Cobie Smulders will star in a new ensemble comedy for Netflix. The new sitcom is called ‘Friends From College‘, and revolves around a group of friends in their forties experiencing varying amounts of success in their personal and professional lives. Key & Peele‘s Keegan-Michael Key and How I Met Your Mother‘s Cobie Smulders will star in a new ensemble comedy for Netflix. The new sitcom is called ‘Friends From College‘, and revolves around a group of friends and Harvard alumni who are now in their forties and experiencing varying amounts of success in their personal and professional lives. It will be written and executive-produced by husband and wife team Nick Stoller and Francesca Delbanco, who both attended Harvard. Stoller will also direct the series. The dynamic will be familiar to Smulders, who starred in CBS sitcom How I Met Your Mother for nine years until 2014. In the series, which was also about a group of friends, Smulders played the ambitious broadcast journalist Robin. Meanwhile, Key is best known for his comedy partnership with Jordan Peele on their self-titled Comedy Central series. The pair perform comedy sketches as a variety of characters, making light of American popular culture, ethnic stereotypes, and race relations. The cast for Friends From College also includes Annie Parisse, Nat Faxon, Fred Savage and Jae Suh Park. Production will begin in New York this autumn.